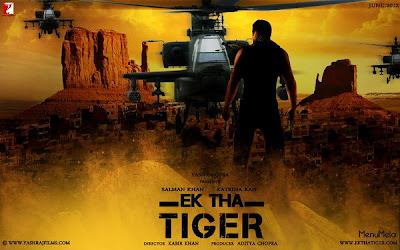 Ek Tha Tiger is a romantic thriller which tells the story of a Trinity College scientist suspected of selling missile technology secrets to Pakistan. The Indian government sends a secret agent, codenamed Tiger (Salman Khan), to find out about the professor's activities. Tiger falls in love with the professor's caretaker Zoya (Katrina Kaif) who is studying at a fictional dance academy located at TCD, and together they embark on a roller-coaster journey that takes them from Dublin to Istanbul then to Kazakhstan and Chile.